When will be E4's Tattoo Artist of the Year next episode air date? Is E4's Tattoo Artist of the Year renewed or cancelled? Where to countdown E4's Tattoo Artist of the Year air dates? Is E4's Tattoo Artist of the Year worth watching? Seven contestants remain in the competition and the stakes are getting higher, with another elimination on the horizon. To avoid being shown the door, they'll need to get through two more tough challenges. Jay Hutton and Rose Hardy welcome some flamboyantly colourful customers in the shape of drag kings and queens, with tattoo requests that include a steak pasty! Plus, there's a reality check for the contestants in the form of guest judge David Corden, an industry legend who's there to test for the finest realism work. The six remaining contestants return to the studio, where they must produce two more top quality tattoos if they are to stand a chance of staying in the competition. Superfan customers want pieces relating to their obsessions, which include portraits of Elvis and Muhammad Ali. Guest judge Guen Douglas casts her expert eye over the contestants' traditional work in the style challenge. Then Jay and Rose drop the bombshell that the bottom two contestants after both challenges will go head to head for a place in the semi-final. It's semi-final day and the five remaining artists are vying to make it to the final. Jay and Rose welcome some hunky customers with muscles as large as their expectations of what they want tattooed. Guest judge Sam Ford challenges the competitors to produce their finest watercolour-style tattoos and, with only three places in the final, tension is running at an all-time high. It's the grand final and, with only three artists left, who has what it takes to be crowned winner of the competition? Tonight they face the dreaded 'cover-ups' to hide unwanted tattoos and then they must put everything into a massive showpiece design under the watchful eye of tattooing royalty Mo Coppoletta. The stakes couldn't be higher, but who will come out on top and earn the title of E4's Tattoo Artist of the Year? 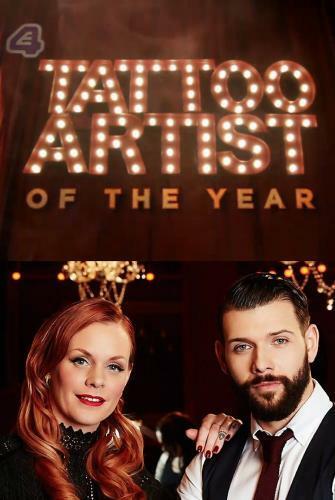 E4's Tattoo Artist of the Year next episode air date provides TVMaze for you. EpisoDate.com is your TV show guide to Countdown E4's Tattoo Artist of the Year Episode Air Dates and to stay in touch with E4's Tattoo Artist of the Year next episode Air Date and your others favorite TV Shows. Add the shows you like to a "Watchlist" and let the site take it from there.